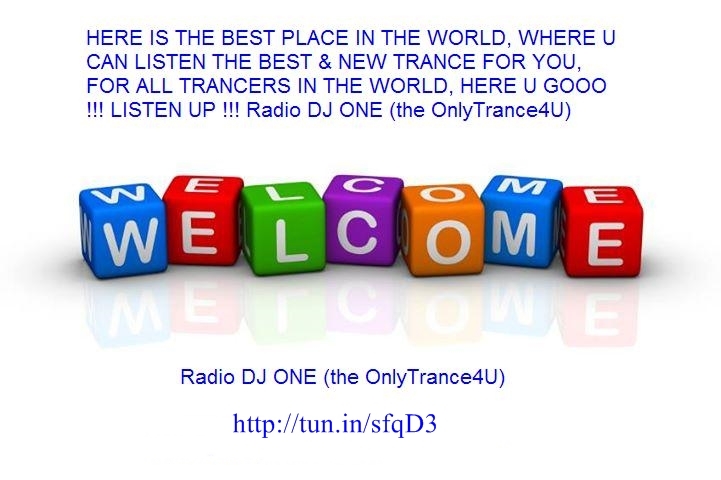 Here is the best place where u find about us and can listen the best sound in trance, only trance music. 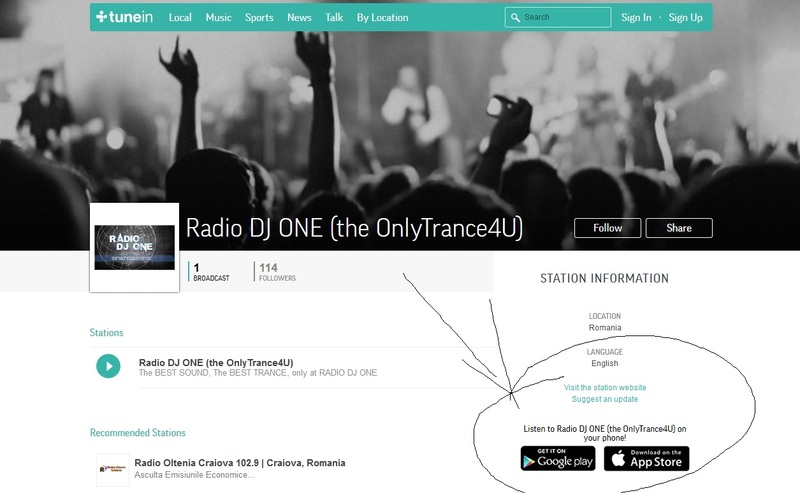 If you like trance, you must listen Radio DJ ONE (The Only Trance For You) and please share the page, share the link radio. Thank you! 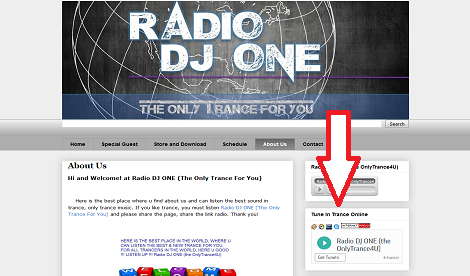 This radio in trance is online international and u can listen it, everytime from everywhere u go in the world. When u are in travel or go to in holidays u can listen radio if u have internet connection and instal app TUNEIN on your smartphone. Join us! 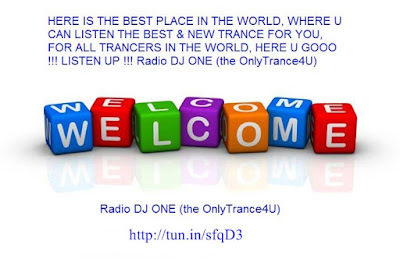 and u will see no regrets to listen us, to listen the best sound in trance, only at Radio DJ ONE (The Only Trance For You). 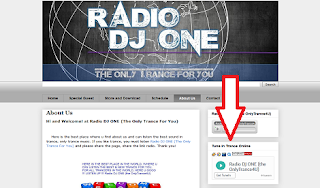 I recommend to use the winamp 5.66 media player because you can see the title of tracks what played at Radio DJ ONE (The Only Trance For You) and it is a good player for listen all formats audio and video too. If don't open and work it the links radio, please contact me for help you. All the links radio for listen are good and you find them in the sidebar right on the site. 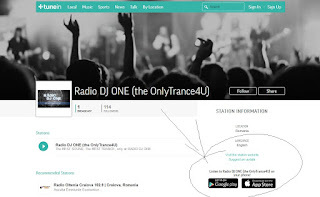 The project Radio DJ ONE it was created and born on 15.01.2009. It was on air with many months interruptions because no have money for open and play radio nonstop. On the 07.05.2012 reborn with a new sponsor for a little time. After a long periode what was again down, radio reborn and reopen it on 10.2014 with a new sponsor, TOOX, a German independent music producer, remixer and DJ, till 10.2015 when colaboration stop it. And after that radio again was down and on the 08.04.2016 i reopen it again with my own help and a few friends like Cecilia Ursu and my resident DJ from radio, Elecktra. Thx for help me and support me for all people in TRANCE MUSIC!! !